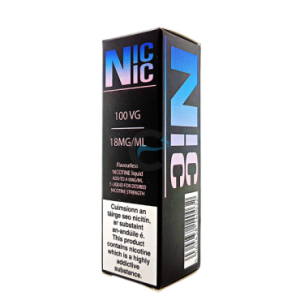 100VG NIC NIC Nicotine Shot 10ml flavourless e-liquid in 18mg nicotine strength. 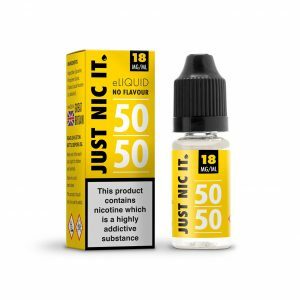 The Just Nic It 50VG/50PG Nicotine Shot is intended for use with a 0mg e-liquid to create a larger e-liquid with nicotine. 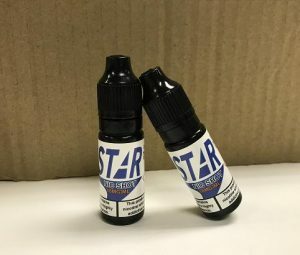 Currently available in 18mg, 6mg. 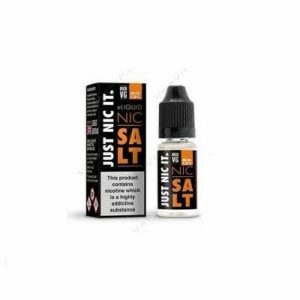 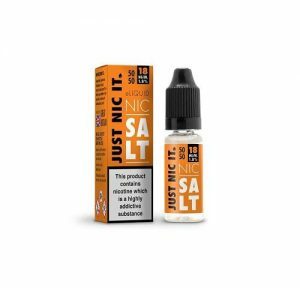 The Just Nic It High VG Nicotine Shot is intended for use with a 0mg e-liquid to create a larger e-liquid with nicotine. 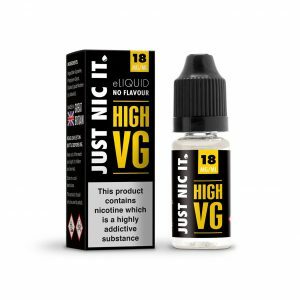 It’s High VG (80VG) blend means it’s designed for thicker e-liquids. 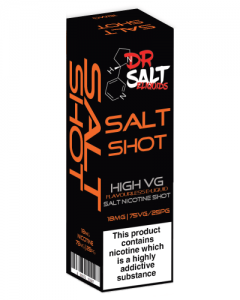 Currently available in 20mg, 18mg, 9mg.